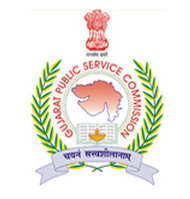 Gujarat Public Service Commission (GPSC) has published Important Notice to Download Mains Exam Call Letters for Advt. No. 66/2016-17, Chief Officer (Nagarpalika), Class-3, Check below for more details. Main Exam Dates: 04-11-2017 (Time: 02:30 p.m. to 05:30 p.m.) , 05-11-2017 (Morning: 10:00 a.m. to 01:00 p.m., Afternoon: 02:30 p.m. to 05:30 p.m.).